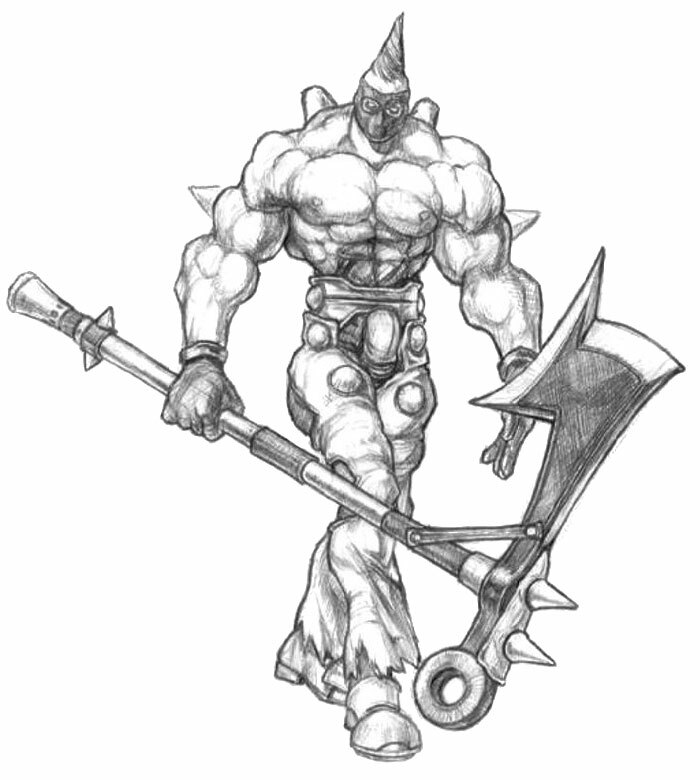 Astaroth was created by a cult of Ares led by the priest Kunpaetku to retrieve the cursed sword Soul Edge by their god's command. 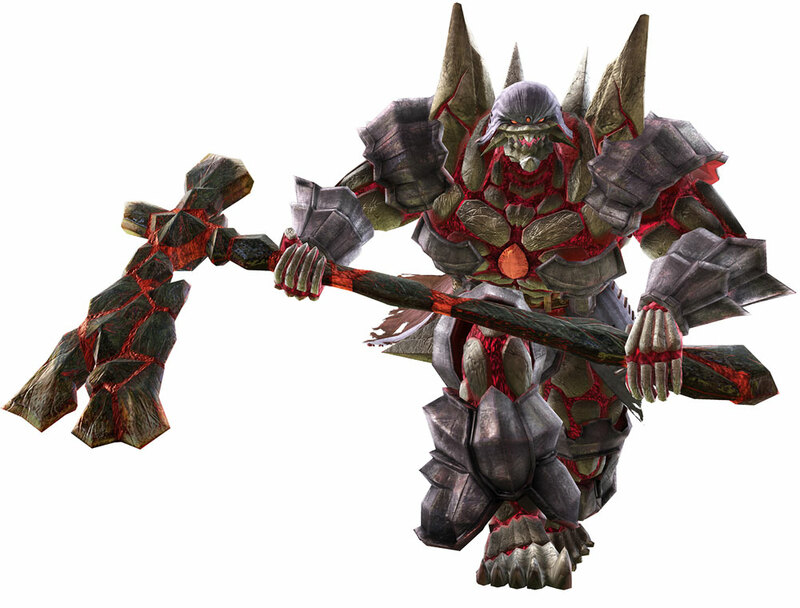 Upon finding the blade Astaroth realized it was incomplete, and allied himself with its host Nightmare and his minions to harvest living souls necessary to restore the blade. 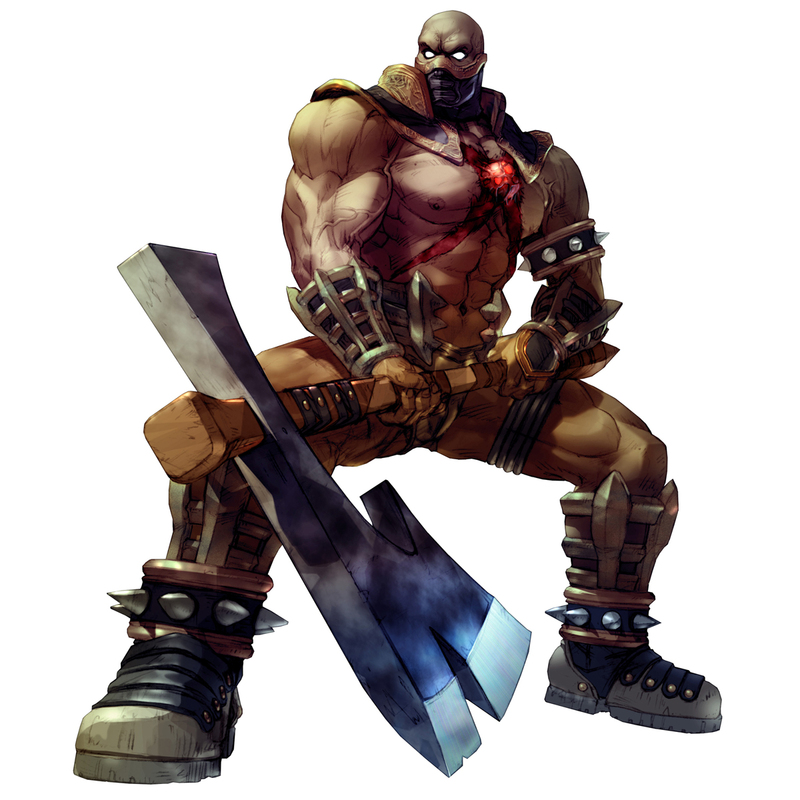 Planning to steal the blade once it was restored, Astaroth was instead confronted by a survivor of one of his attacks and slain. 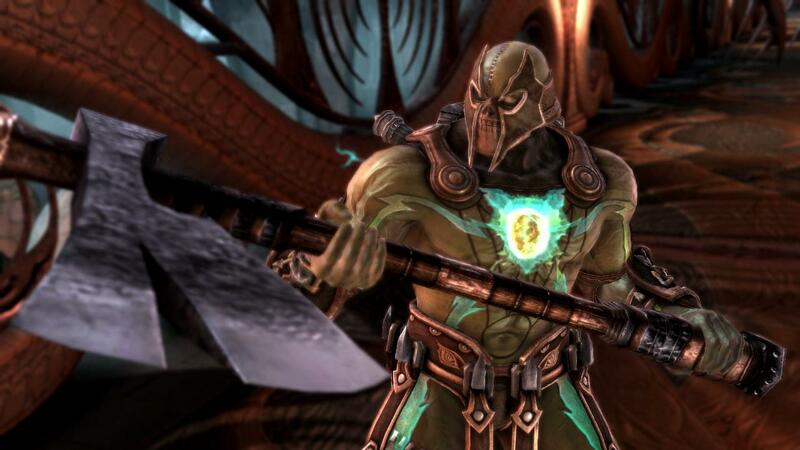 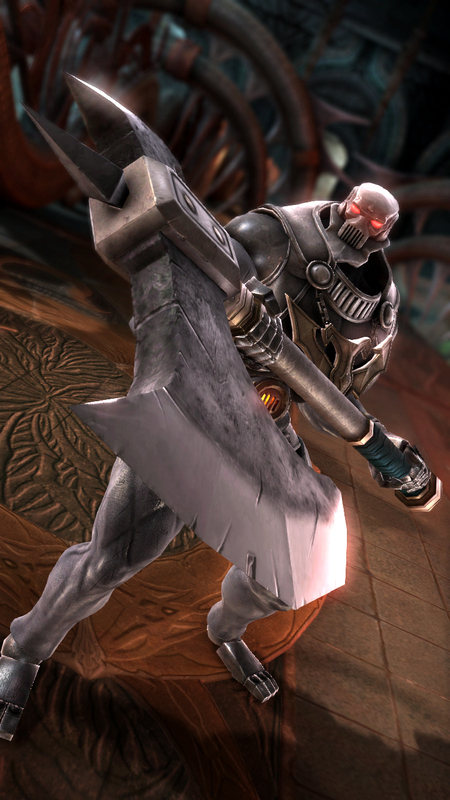 Ares later revived Astaroth, who now had fragments of Soul Edge inside him, to continue after the Soul Edge. 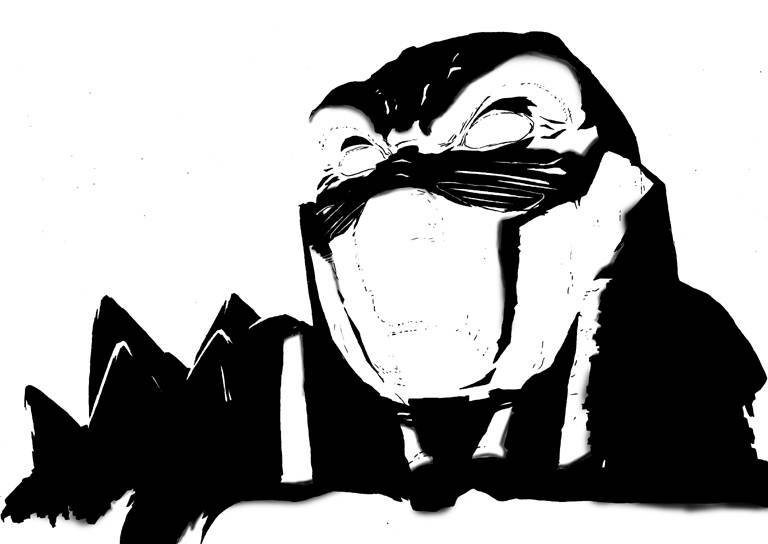 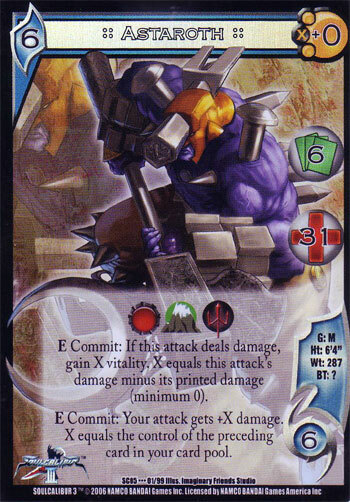 Kunpaetku realized his golem was not behaving as instructed, and placed a controlling curse on him. 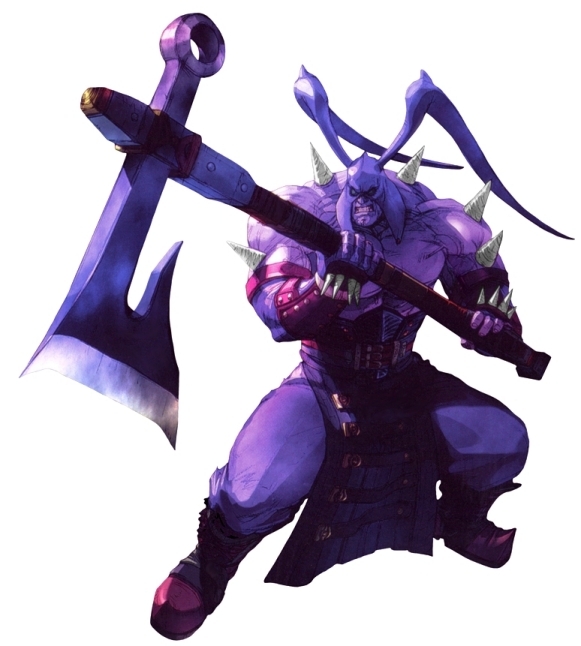 Astaroth resisted and attacked the cult, but in the chaos Kunpaetku escaped and Astaroth learned he was modeled after a human being, the "White Giant". 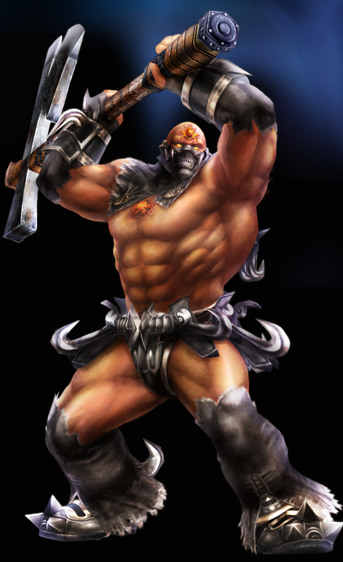 Finding and nearly killing the man, Astaroth broke free of Ares's control and his body cracked and physically transformed. 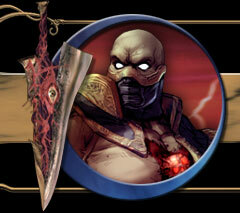 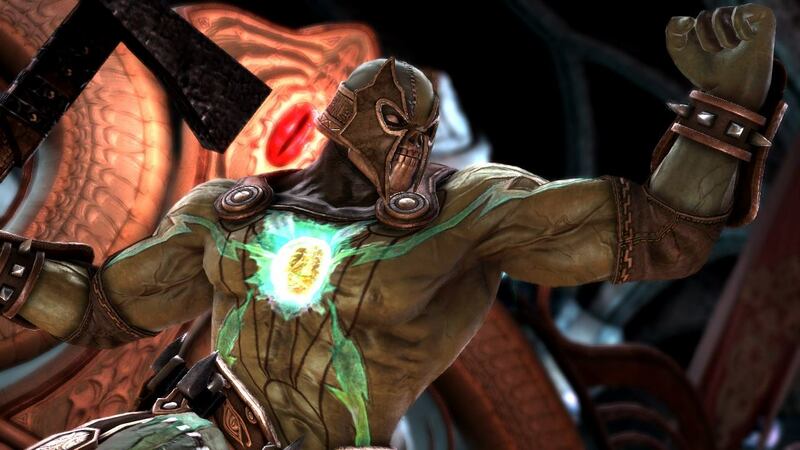 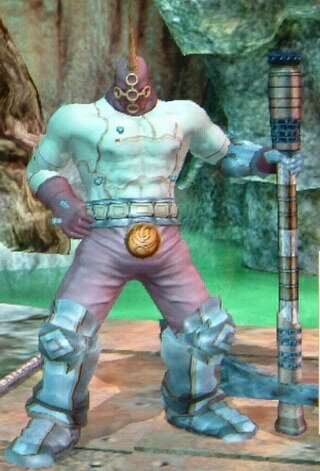 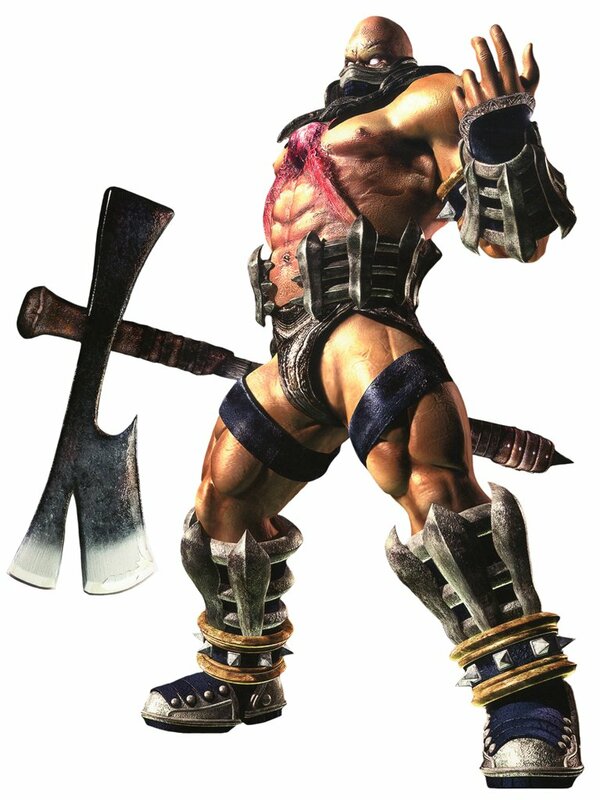 Merged with the fragments of Soul Edge within him, he now hungered for souls himself and went on a rampage. 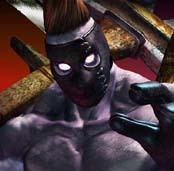 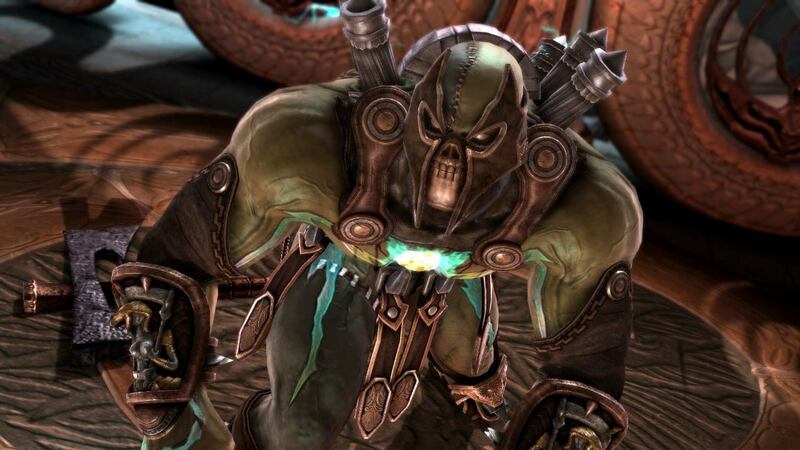 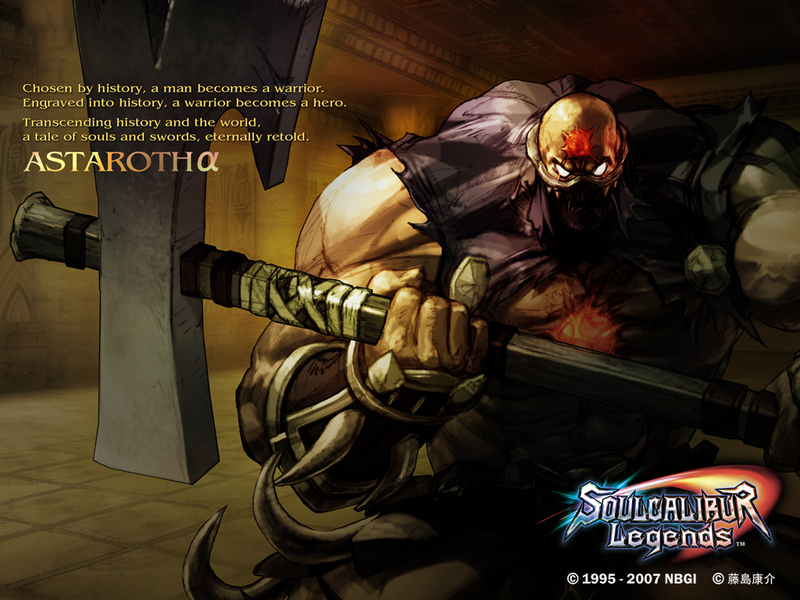 He was eventually found by Tira, who offered him more power in return for his servitude to Nightmare. 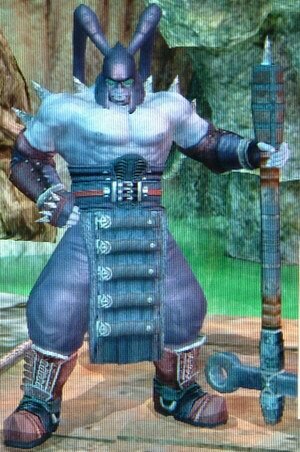 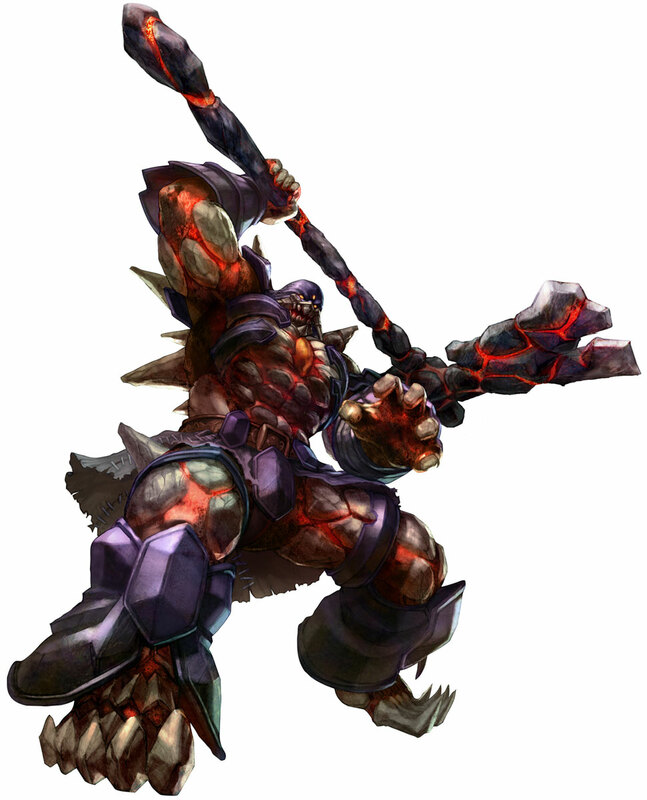 Astaroth accepted, with plans to eventually consume their souls and Soul Edge itself when the time was right. 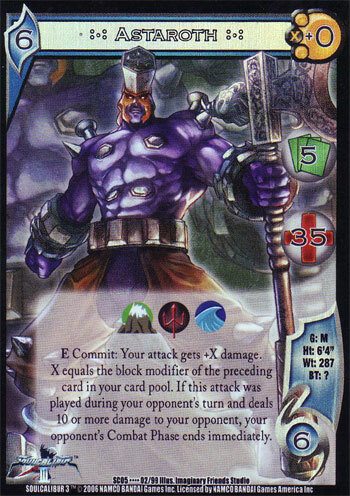 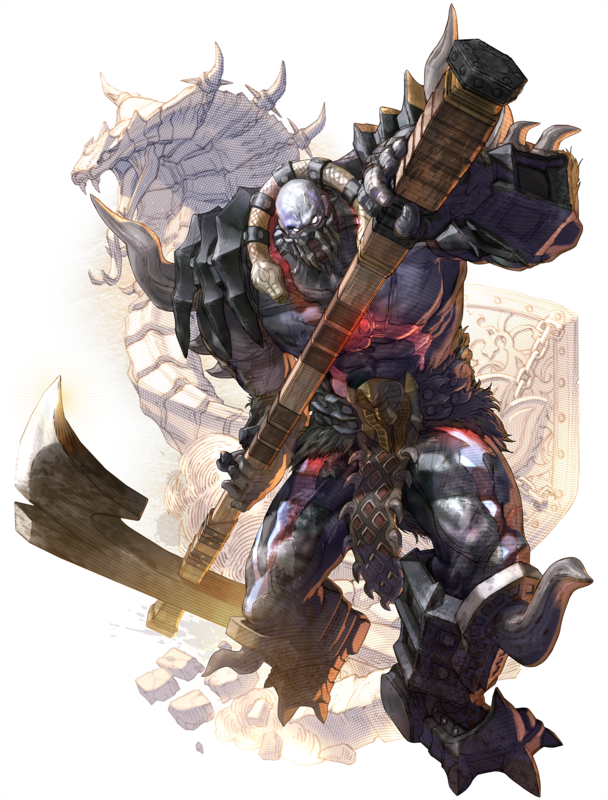 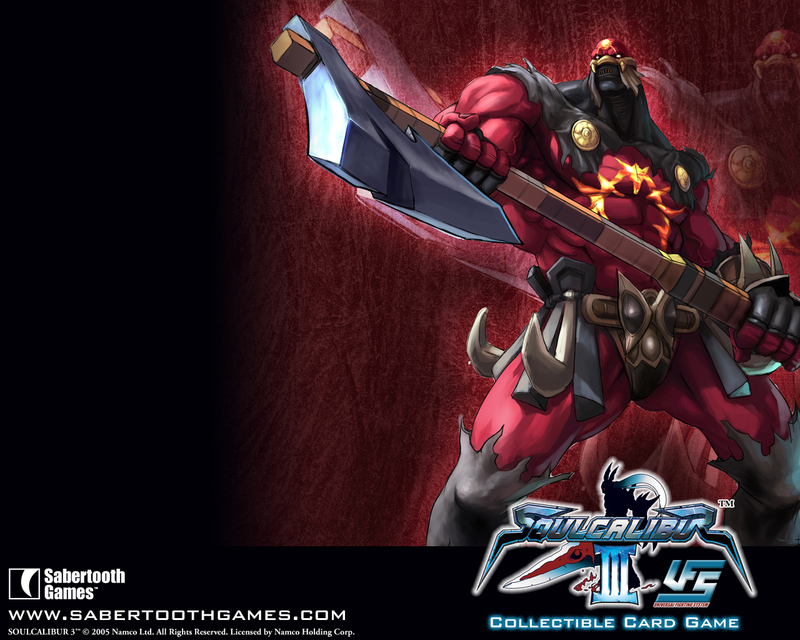 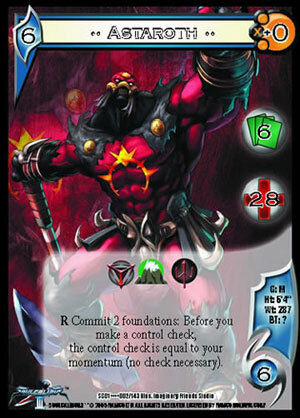 Astaroth defines the word "evil" both with his appearance and his brutal fighting style... the perfect personality for an axe wielder. 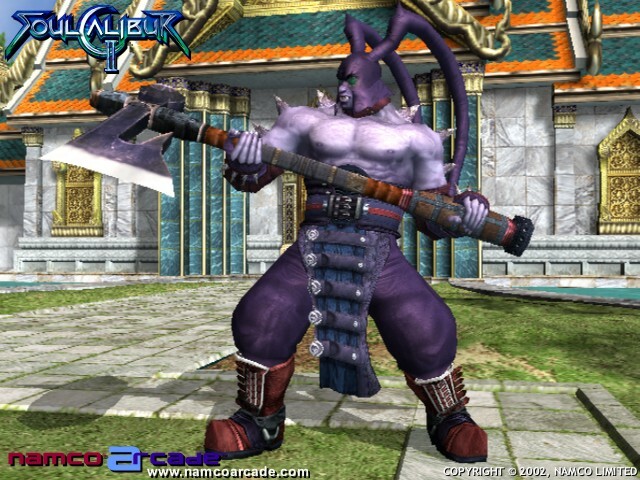 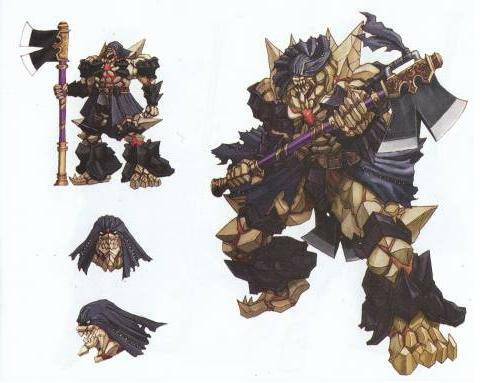 Astaroth has had a wide variety of different visual appearances, all of which were memorable and suited him well. 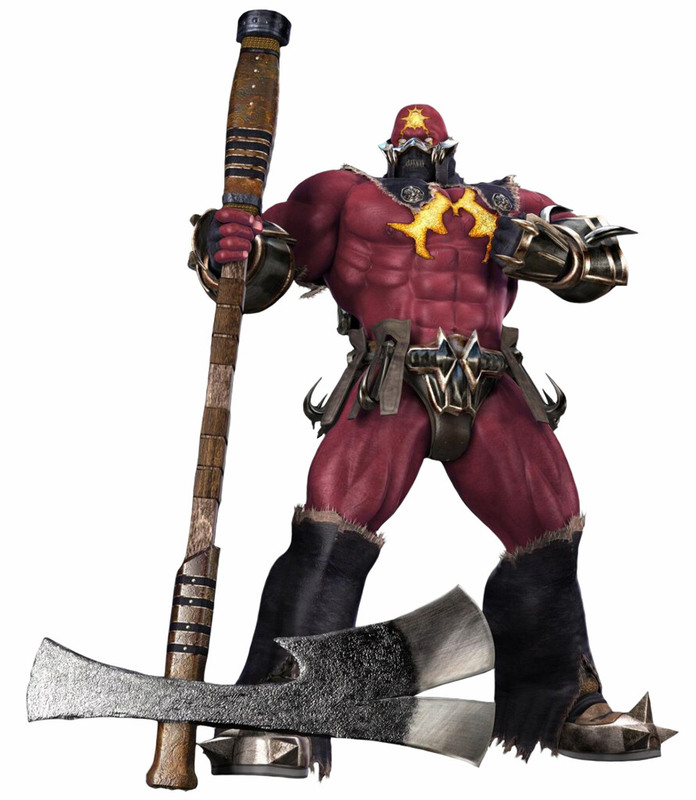 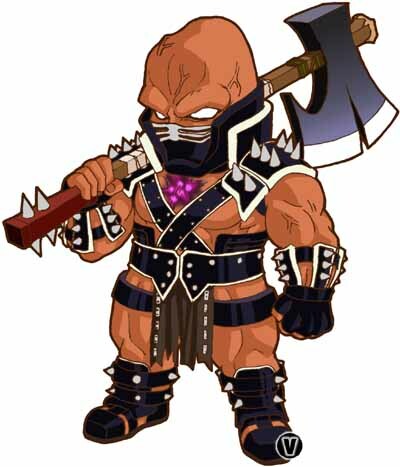 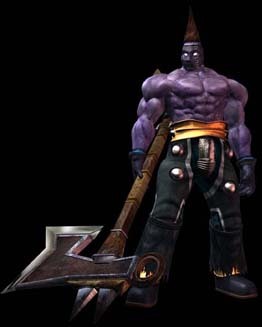 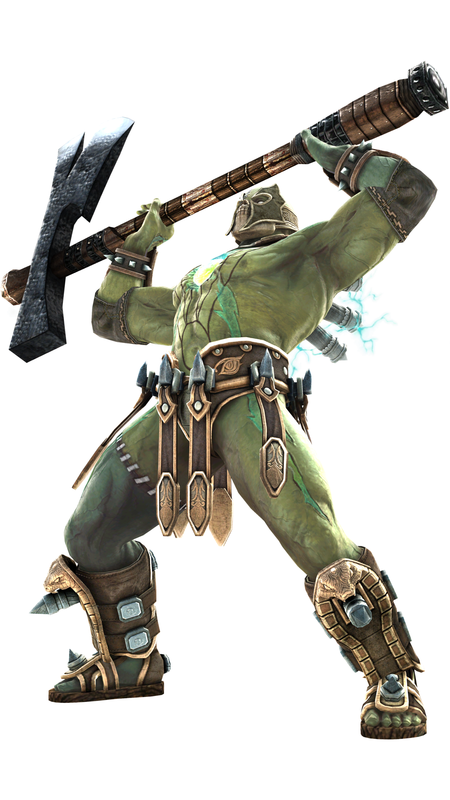 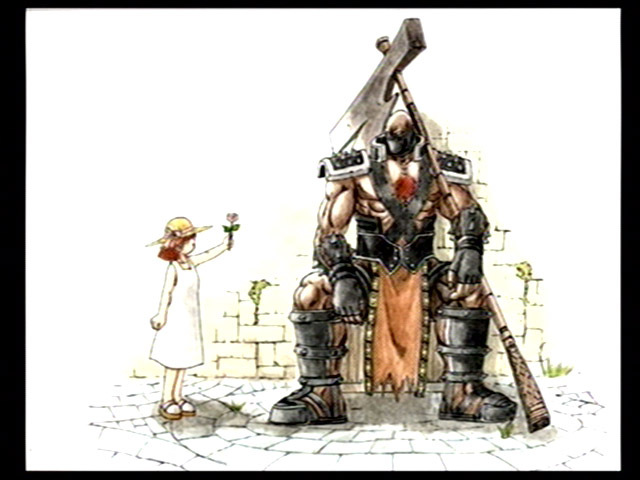 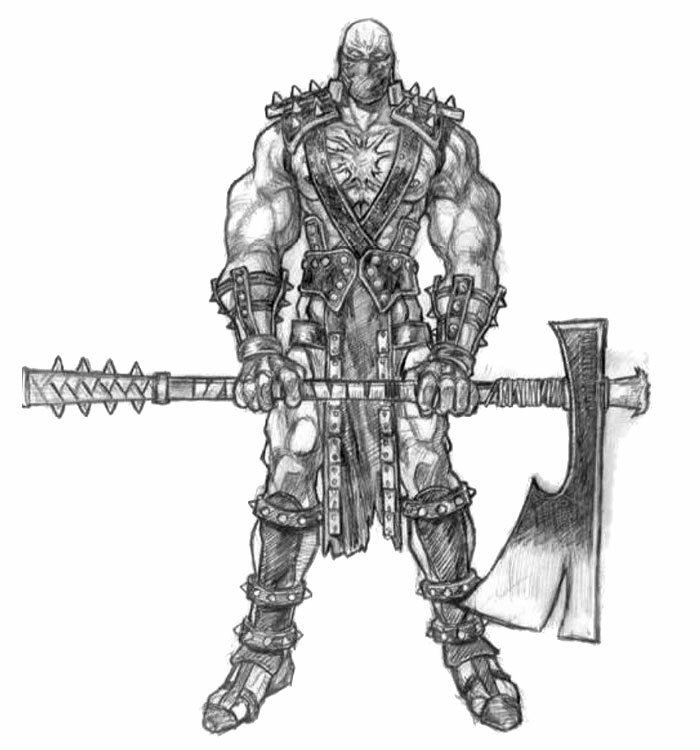 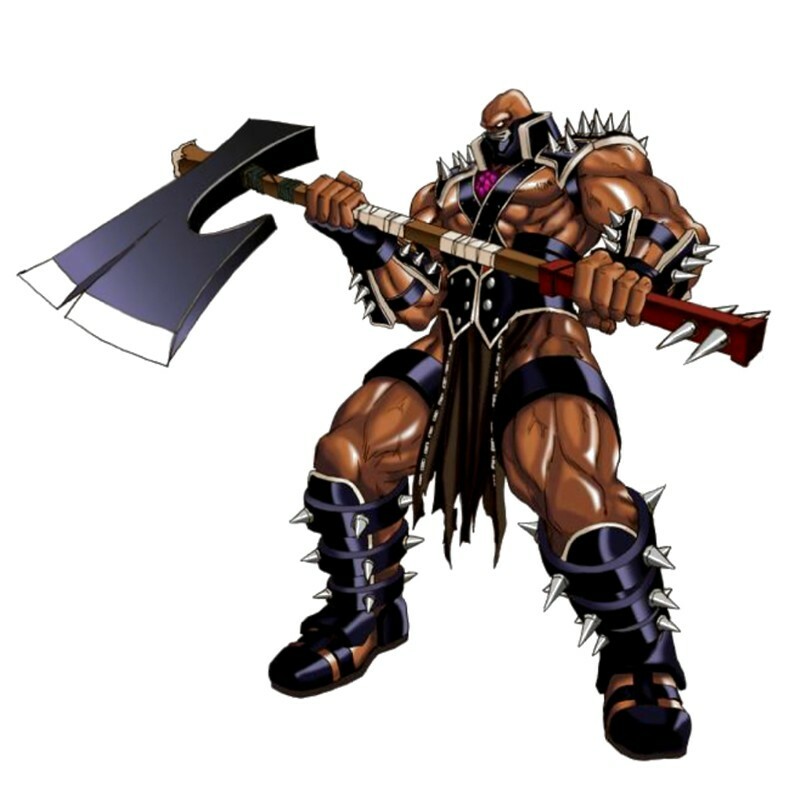 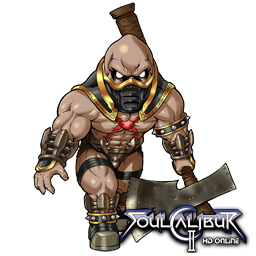 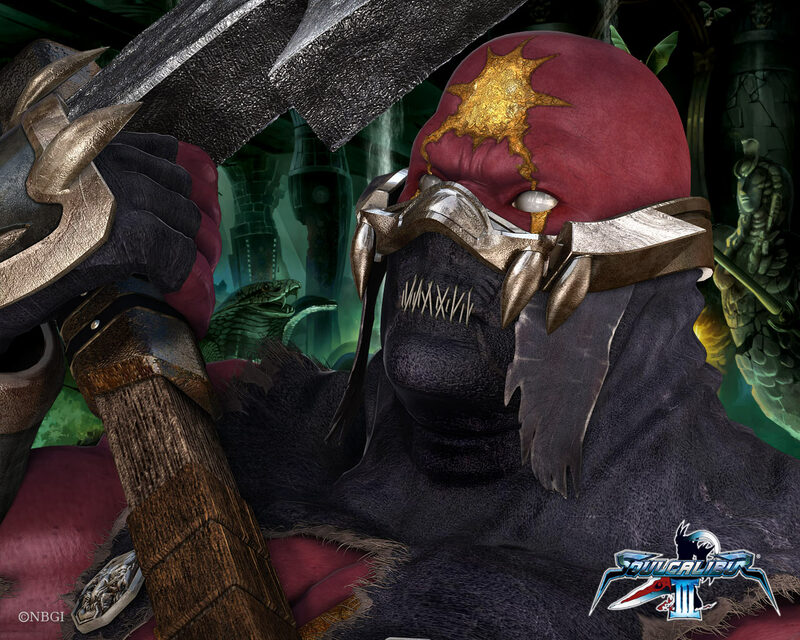 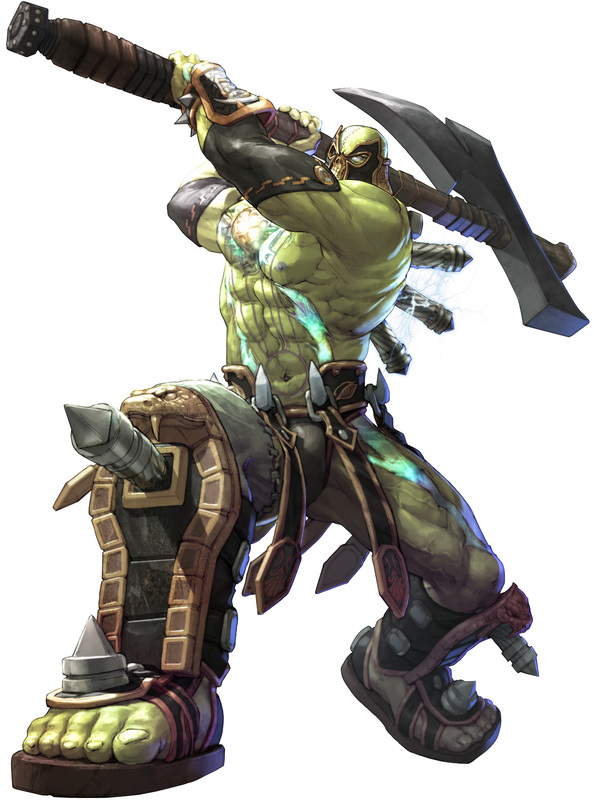 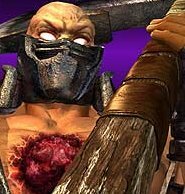 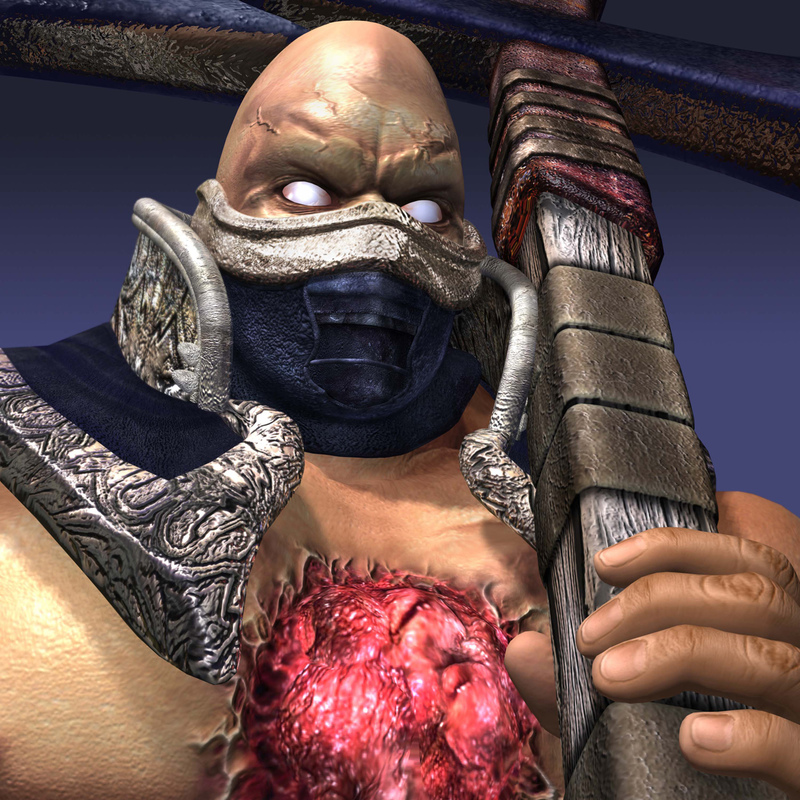 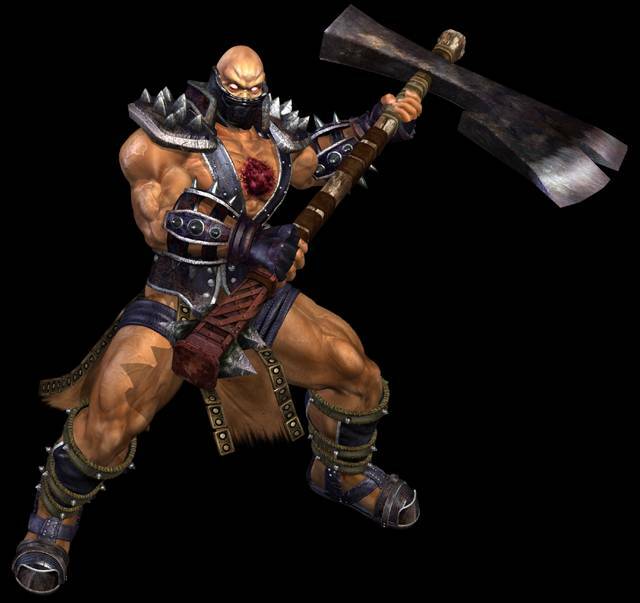 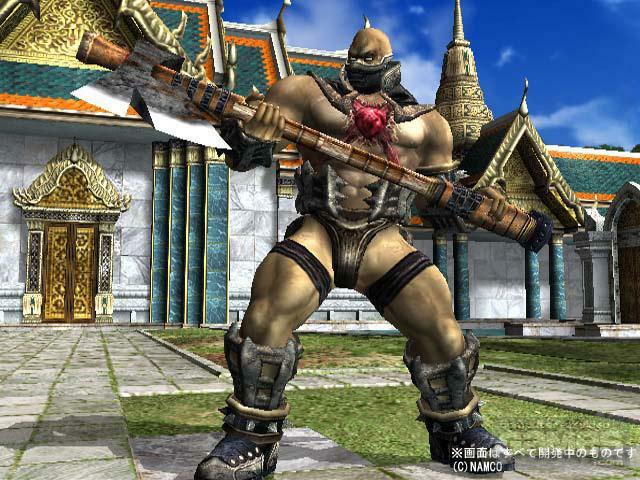 Since his debut in Soul Calibur, he's been a convincing badass "big guy" for the series, and eventually took Rock's place as the prominent axe wielder. 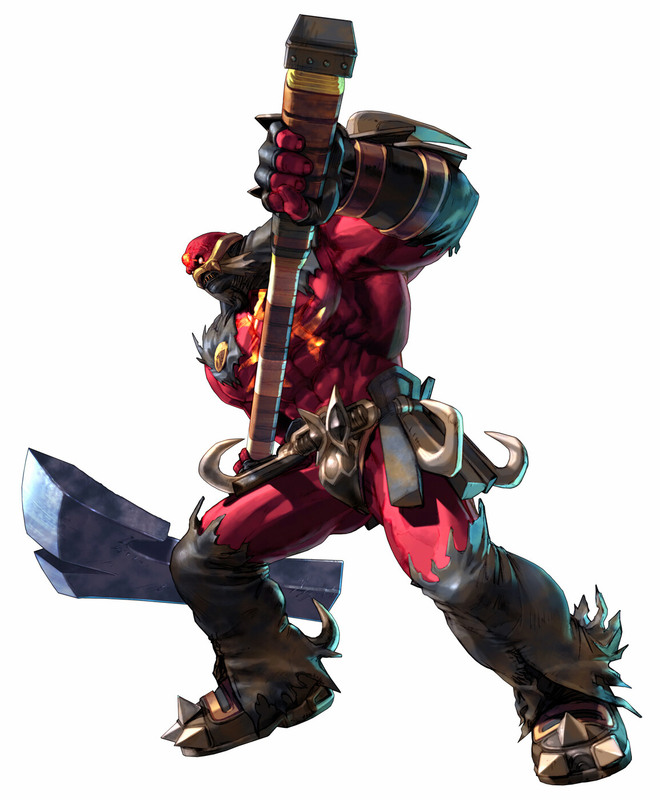 Astaroth undisputedly has some of the most merciless and brutal moves in fighting game history... you just don't want to get hit by him. 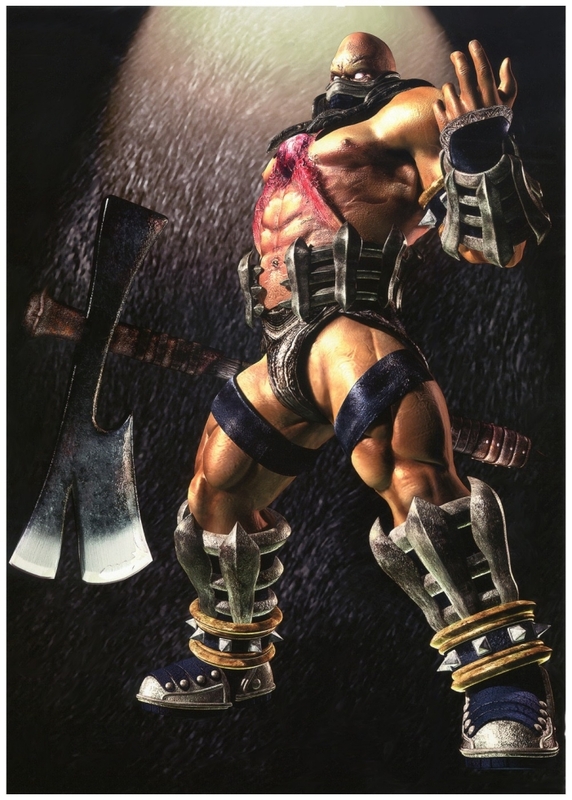 ;) His moveset has also evolved very nicely over the years, but thankfully he's also retained his best moves from sequel to sequel. 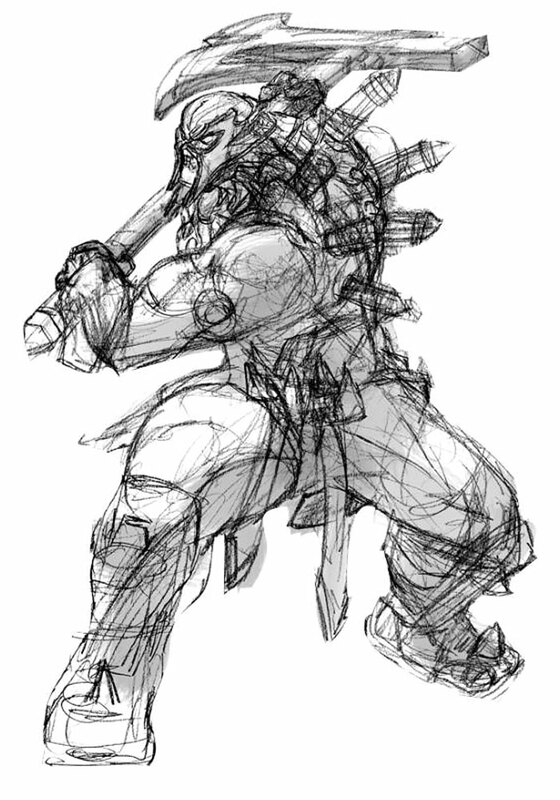 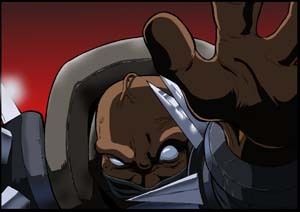 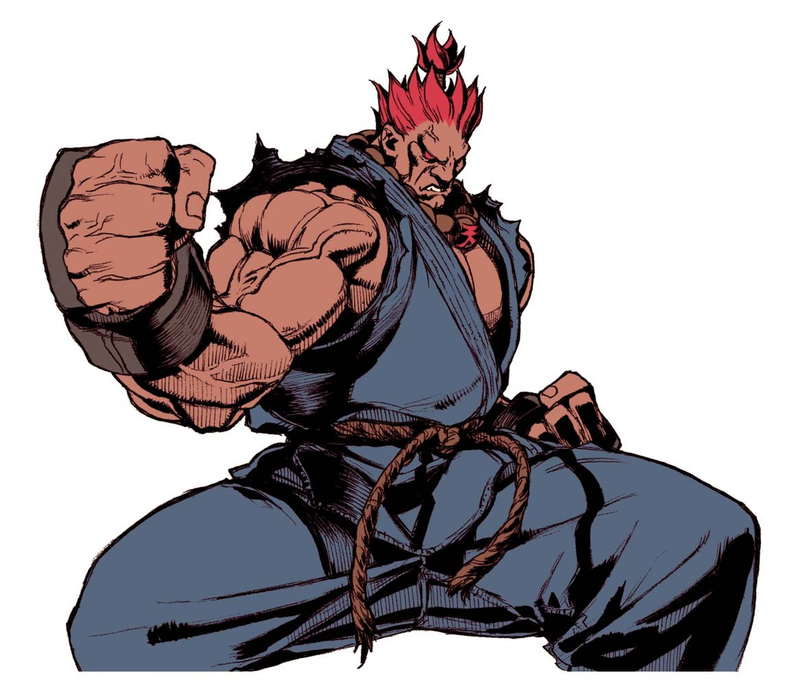 Not only are his attacks and movements "original," but his overall play style is very unique in the fighting game realm. 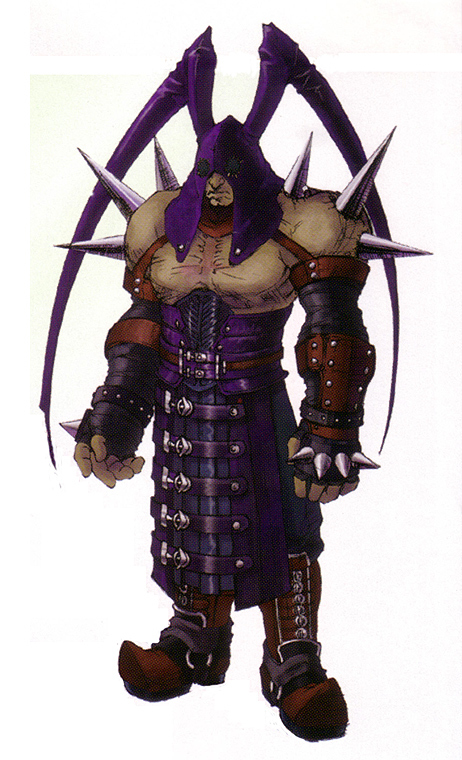 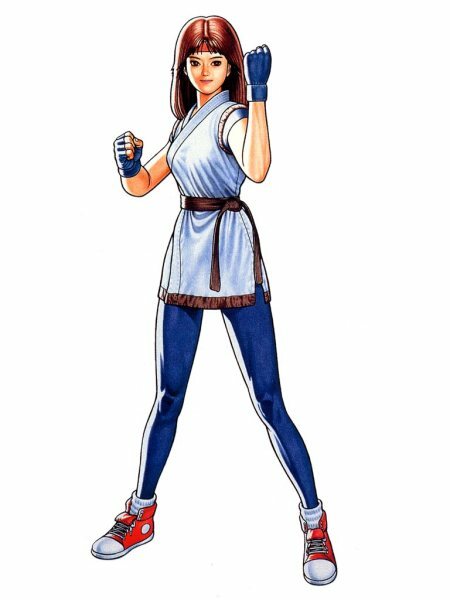 He's also an interesting (and sometimes annoying) character to fight against... but nonetheless, a great and memorable character design. 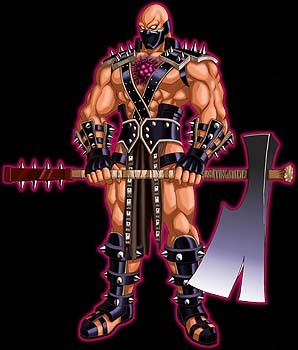 Asta is just a beast.... Gotta respect him.